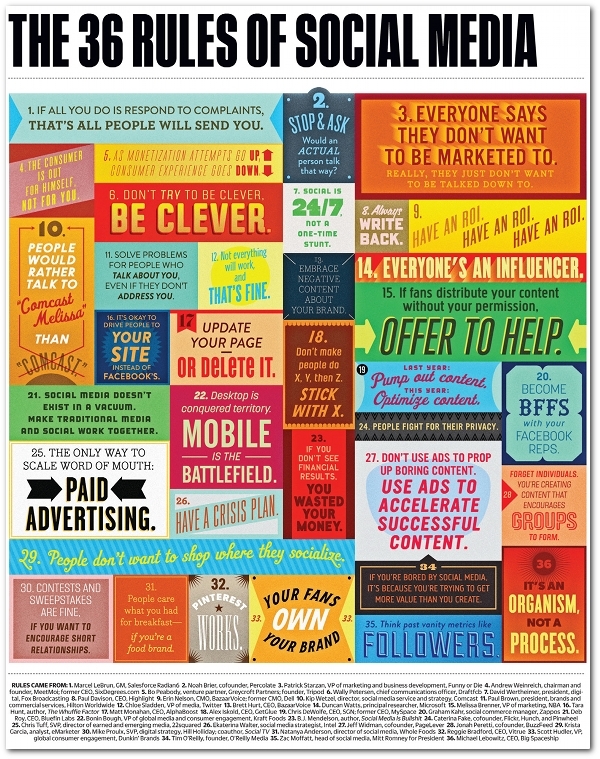 Ragan’s PR Daily posted The 36 Rules of Social Media, an infographic created by Fast Company. Do you follow these? Are there any you disagree with?